I had the pleasure of viewing and testing out the MAC Spellbinder Collection last week before there online release today and let me just say ……….. GORGEOUS! I am in love and yes you read the above correct. This is a loose eye shadow but it is magnetically charged from the packaging to keep its form!!! How fabulous is that?!!? 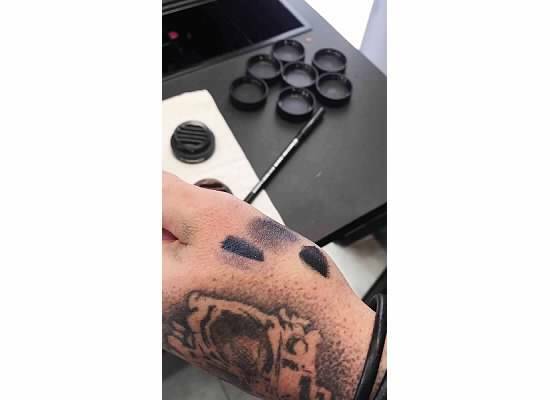 John from the MAC PRO Michigan Avenue location started out by showing me their pigment by swatching them on his hand. His trick for even more intense pigment? Use an Eye Kohl in black first and then place the eyeshadow over it. Pictured below you will see how the pigment intensifies. MAC’s Eye Kohl in smolder is a Holy Grail product of mine FYI. Its a must have product for your collection. The color John used on me was High Power which is what I would have picked for myself. 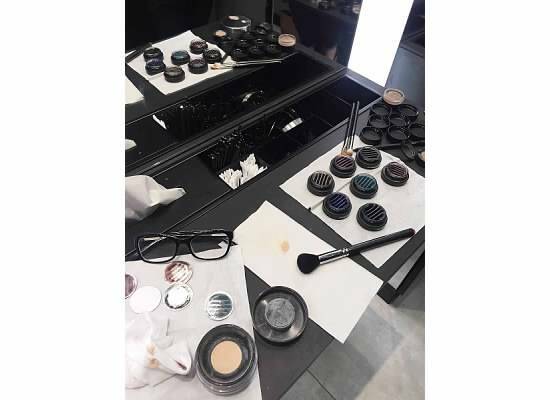 He started off with priming my lids with Pro Longwear Paint Pot in Painterly and then as an all over color used wedge before applying High Power. I think this is perfect for an everyday look but can be created to be bolder for more intense color payoff. A product that can do more than just one thing is always a win in my book. The rest of the colors in the collection are equally stunning!!! Online now and will be available in-stores October 20th – December 1st. As you can see from the picture above we started to play with other products and I would not have had it any other way! If you are new to my blog let me just say MAC has been my first love since I was 16 so this was an extra bonus for me!!! 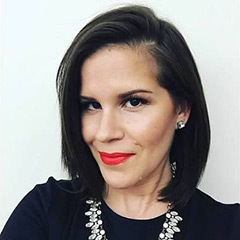 John was extremely helpful because my skin has changed tremendously since having kids. I use to be a NC 25 however he felt it was best for me to try C3.5. There are new numbers for some face products offered that incorporate both cool and warm tones which now I understand I have. The Studio Fix Fluid SPF 15 went on smooth and the color match was perfect. Even though I wanted to buy the foundation right then and there I asked for a sample to be made for me to make sure I don’t break out. This is an amazing service offered that many people don’t realize you can ask for. You can try out the formula and a couple different color options before fully committing! The next two products I tried were the New Studio Fix Perfecting Stick and the New Studio Fix Perfecting Powder. I was very excited to try these because Studio Fix Powder Plus Foundation is my all time favorite everyday foundation. 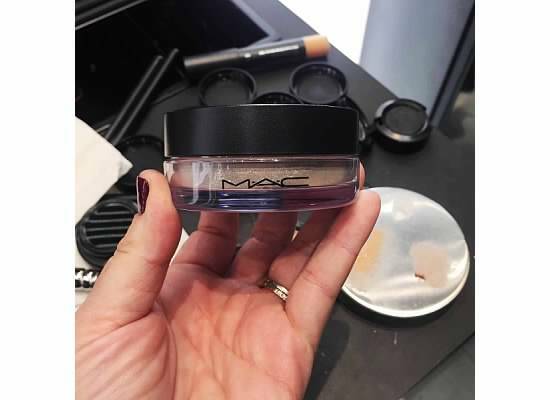 Its a powder for easy and fast application but settles in like a liquid and the Studio Stick reminded me of a discontinued MAC product I owned from 10 years ago. I adore makeup that makes everyday application easy for me. Not only because I am a mom but because sometimes I do my makeup on the train on my way to work. 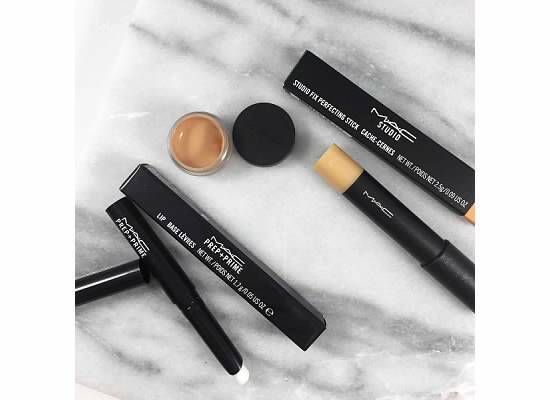 The New Studio Fix Perfecting Stick is “A chubby twist-up concealer pencil with a precise rounded tip” With just a few swipes you get medium buildable coverage but it can also be used to hide those imperfections, that unwanted blemish and really the list can go on and on. 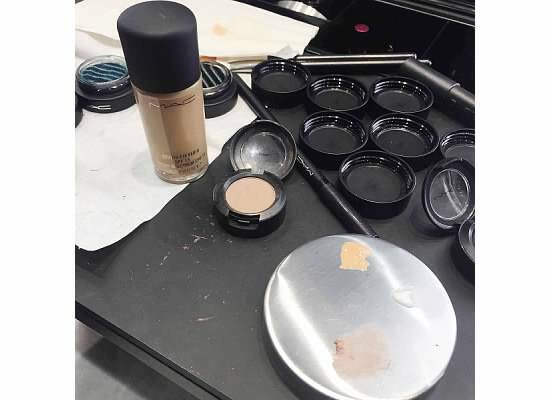 The Studio Fix Perfecting Powder is a “A one-step powder and foundation that provides a matte texture with medium coverage” John used this to set my concealer and wow. My eyes looks so bright. I truly wanted to buy the powder on spot but I have been using the Mineralize Skin Finish and felt it was responsible of me to at least hit pan on that first lol but I grabbed the Concealer without any hesitation. 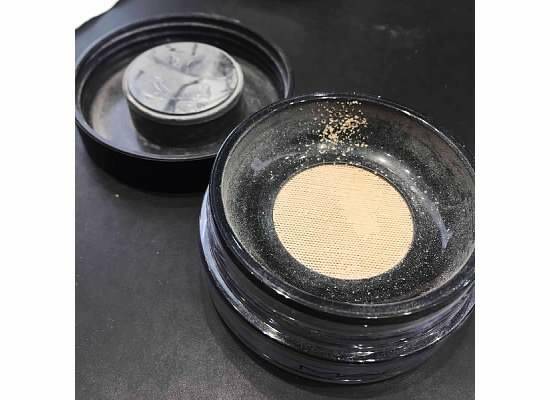 This powder is loose but its created with packaging that allows for no mess! You just dip your brush in the powder on top and there you go! Mess free loose powder. 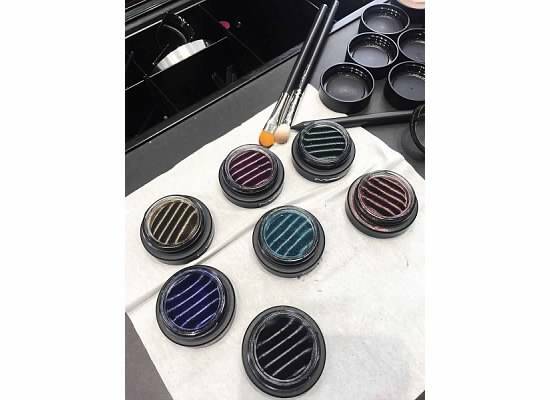 Do you think you will try Spellbinder Eye Shadows? Which colors are grabbing your attention? Also do you use anything from the Studio Fix line and if so what are you loving? I would love to hear in the comments below!